It’s always great to have a real session beer in your lineup of taps. 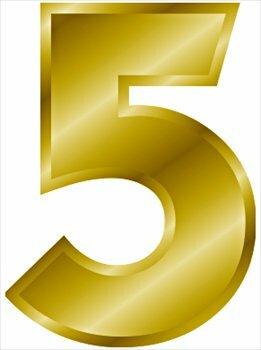 I’m a big fan of dry stouts, which I recently wrote a series on, and British-style bitters. Both are wonderful, flavorful beers and there are times when a lower alcohol (and lower Calorie) beer is just the thing. Brewing session beers at home is straightforward. However — as with any kind of beer — there are special considerations that help make the beer its best. Here are five tips for brewing session beers. Some session beers, like dry stout, are meant to be fairly dry. 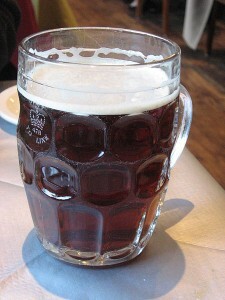 Most, however — like a British-style bitter — are meant to be full-bodied or at least have a moderately full mouthfeel. If you are brewing a session beer, it’s body is going to be a big part of the impression it makes. If you are aiming for a dry beer, you will not need to do much to get it to finish at a low FG, given it’s low starting gravity. 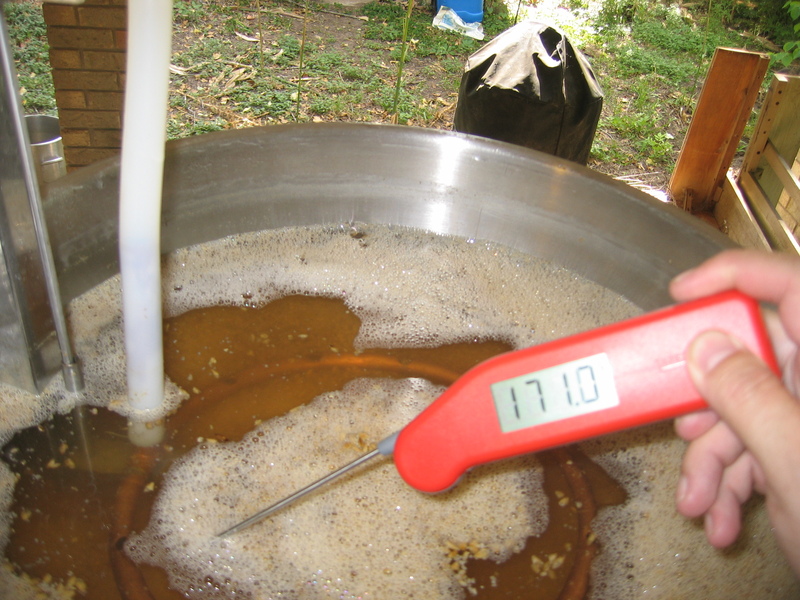 For all-grain brewers, simple mashing at a fairly low temperature (150–152 °F/66–67 °C) should be enough. For a more full-bodied beer, mashing at a higher temperature (154–162 °F/68–72 °C), adding some Carapils malt or extra crystal malt to the grist, and choosing a lowly attenuative yeast strain will be required. Mash out, then keep the grain bed temperature at 168 °F (76 °C) by keeping your sparge water as hot as it needs to be. The smaller scale of homebrewing works against us when we brew session beers. The mash volume required to brew 5.0 gallons (19 L) of a session beer is small and quickly loses heat to its environment. As such, you may want to add some extra insulation to your mash tun or be prepared to add heat during the saccharification rest. When making a session beer, do mash out and keep your sparge water hot enough to maintain a grain bed temperature of 168 °F (76 °C). You can also solve the small mash problem by making a double batch. With a smaller amount of grains in your grist, you may need to cut back on the amount of wort you collect or run the risk of oversparging and yielding an astringent beer. Monitor your final runnings and stop collecting wort when they fall below a specific gravity of 1.008 or the pH climbs above 5.8. You can also taste the final runnings and stop if they become overly astringent. When you have collected all the wort you can from the grain bed, you may need to add water to reach your pre-boil volume, especially for very low gravity beers. It’s easy to overpitch a session beer. If this happens, it will ferment very cleanly. If you’re looking for a clean beer, this is fine. However, if you’re brewing an ale and want an estery nose, be sure to pitch at between half and the optimal amount of yeast (1 million cells/mL/°Plato). Use a pitching rate calculator to see how much yeast you will need. In some cases, you may need less than one “pitchable” smack pack or tube of liquid yeast or less than one sachet of dried yeast. Carbonation gives beer a pleasant fizziness, but it also masks the body of a beer a bit. (If you’ve ever had soda from a can that had a pinhole leak, you’ll know that it tastes thicker and sweeter.) If you want to enhance the body of your session beer, carbonate it slightly less than you normally would. 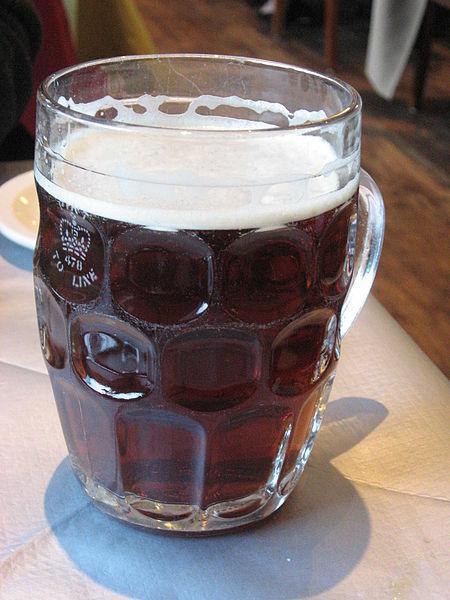 British real ales are often carbonated to only 1.2 to 1.8 volumes of CO2. And, of course, many session ales may taste great pushed with nitrogen (as with dry stouts) or brewed and served as a real ale (especially British-style bitters).